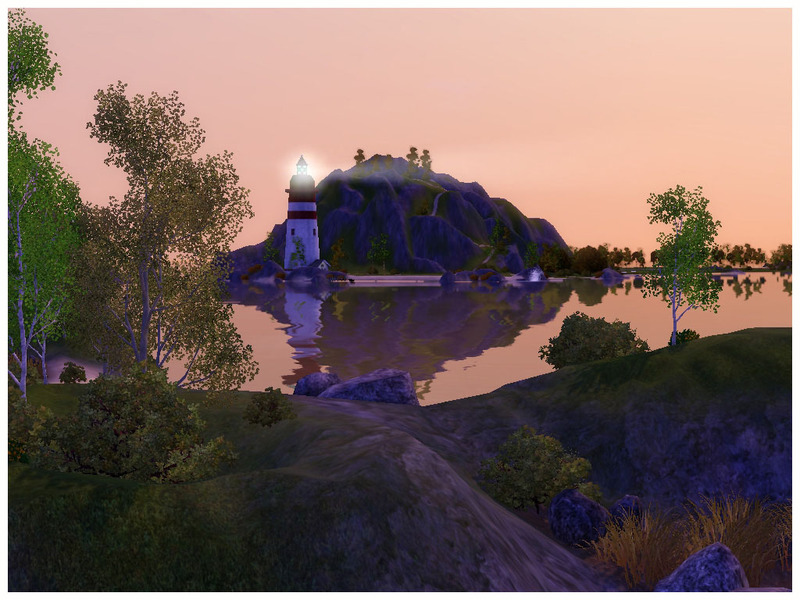 Aspen Islands are situated far from Sunset Valley shores, it is a group of four islands with moderate climate and abundance of aspen and birch trees. They were first inhabited at the beginning of the 20th century. Most dwellers were fishermen and retired sailors, as island's waters had plenty of fish and its sloping banks enough taverns and beaches. 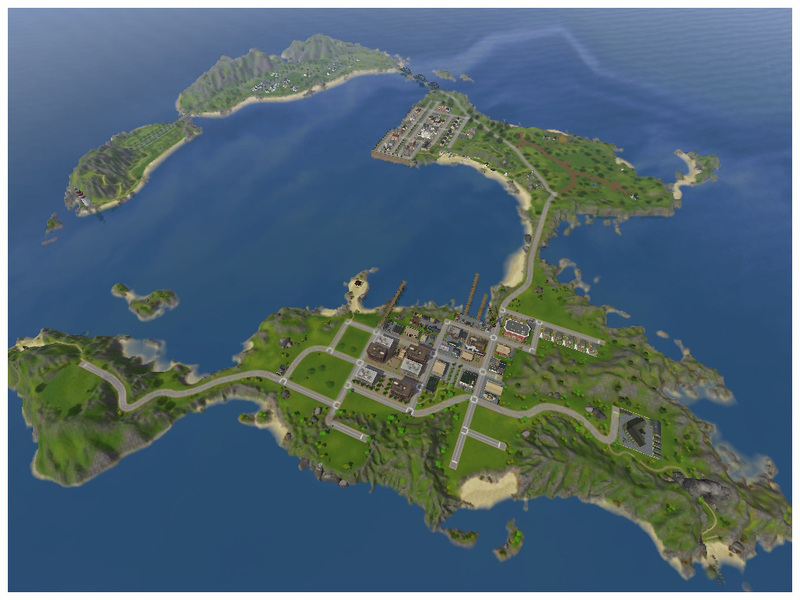 Originally, only one island of four was colonized, its lands supplied sims with enough produce and fish. 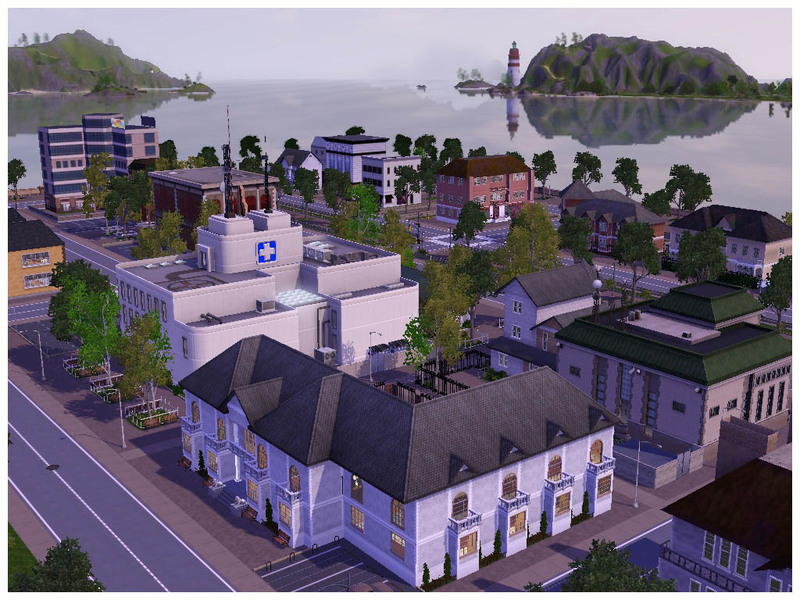 With the inflow of new residents new islands had to be occupied, thus the industrial and later suburbian part of the isles were connected to main one with bridges and roads. Today it is a balanced and peaceful community with laidback style of life. 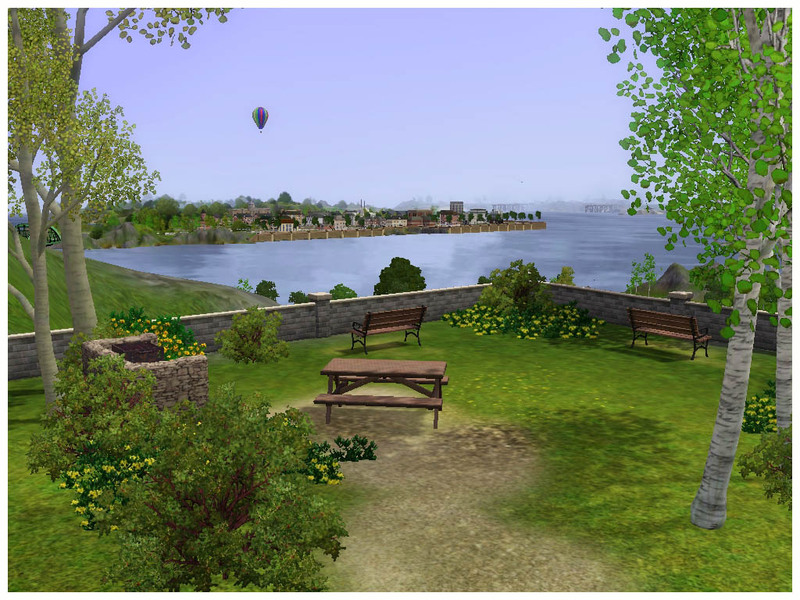 THE LATEST LATEST VERSION OF ASPEN ISLANDS WITH CONTENT FROM ALL EP'S (EXCEPT IF) CAN BE DOWNLOADED HERE . Transportation time may be an issue for cheap cars and taxis, use subways, disguised as ferry stations. When you start a new game save it and exit to the main menu so that fog emitters show proper effects. Effects in clubs are randomized and there's nothing I can do about it, you should set them yourself. Give couple of days for spawners to spawn. Ghosts tend to drive around instead of staying quietly in their graves. 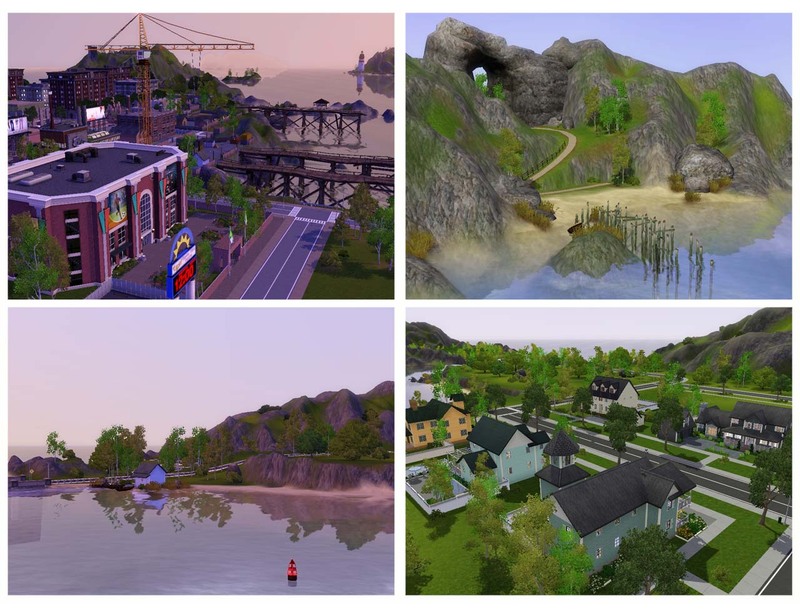 This world would've never been uploaded without your help, feedback and encouragement - Gabrymato, Zandvoort, Deluxe Designs, SimmyRN, kattenijin, Nightlight, Mr.Fry, Demagog, simsample, Bchbch Walk, rian90, Miko09, kiwi_tea, Linarina, Rileyjcquinn, Myshia, hudy777DeSign, Lennon7777777, scoopy_loopy, Dasila, SommarBlomma, RylandHomes, lorenrose1013, jedi_waffle. 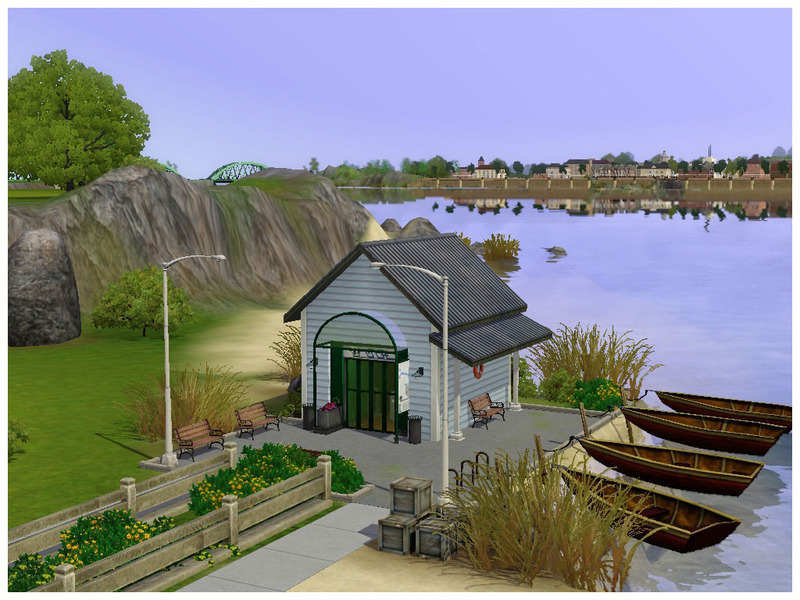 A huge thanks to simsample for tutorials and Various Objects Enabled for CAW , Ashillion for custom roads and Martine for wonderful terrain textures. All MTS world creators and builders - for inspiration and tutorials. MTS - for being such a great site. 1015 people have said thanks to Miuki for this download.